The Christmas Light Parade is held the first Saturday in December. There are many imaginative uses of lights on machinery, vehicles, people and animals. It’s a festive way to begin the Christmas season! The Light Parade is judged by the Chamber President, City Mayor and the Publisher of the Colby Free Press. Prizes are awarded to the top two placers in each of the five categories. This year’s 21st annual Christmas Light Parade will feature the theme Snowman Wonderland. 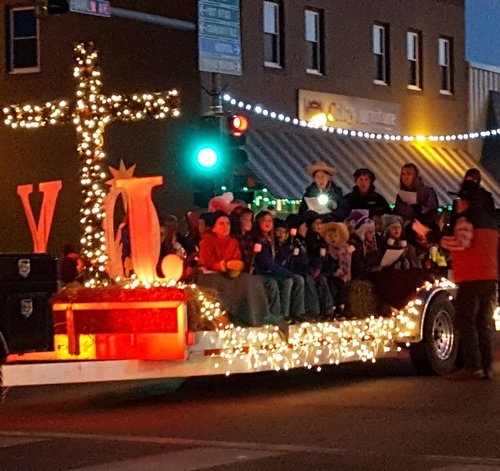 There is no charge to have an entry in the parade, but registrations are due to the Chamber by Friday, November 30.